Its a New Challenge at Star Stampz Challenge Blog! I absolutely love this image and it really brings a smile to my face!! I thought, well, it is perfect for this challenge them which is simple: Add a Sentiment! Join us for this super easy challenge! Please visit the blog links below for full details on this challenge and enter for a chance to win awesome prizes! I hope you like my card and coloring! 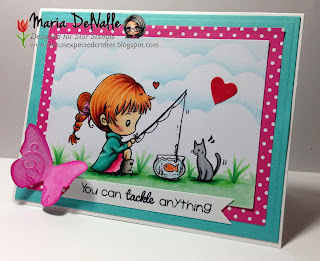 Come join the fun at Star Stampz Challenge blog! The images are lovely!! Good morning, A beautiful card and image. You have coloured beautifully. Love the card feel. Good morning, A beautiful card and image. You have coloured beautifully.